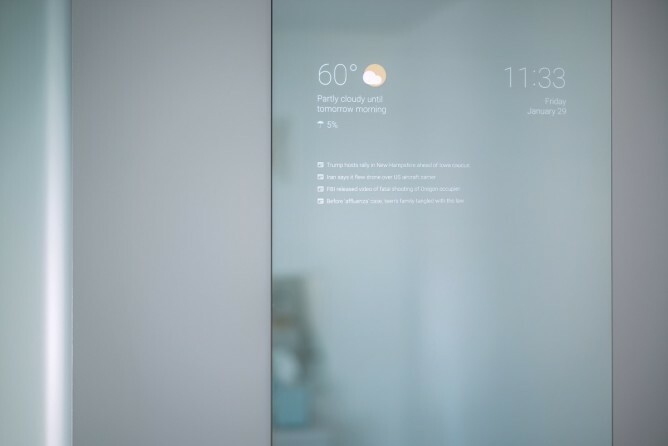 The mirror displays information such as the time, weather forecast, and latest news headlines in a clean, minimalist UI. It's still a work in progress, and Braun is still experimenting with adding other things like traffic conditions and reminders. 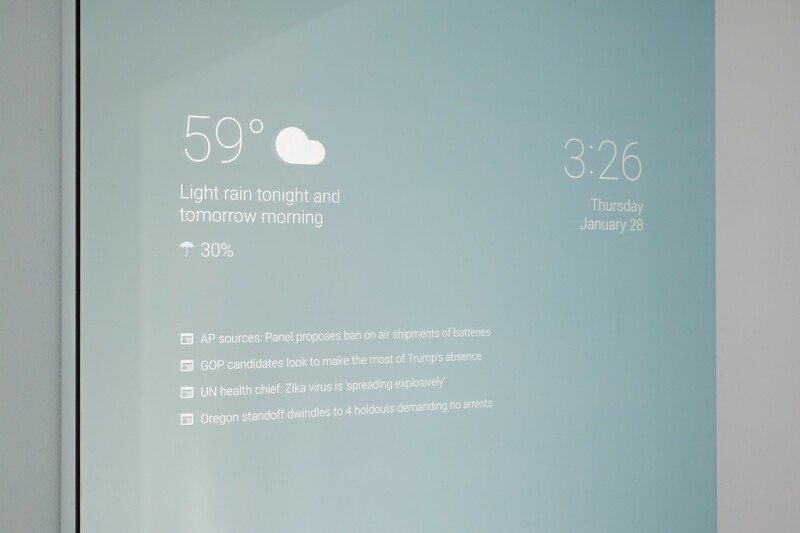 The display itself isn't interactive, but that's not really the point: Braun says the idea is for the mirror to automatically pull relevant data in the same way that Google Now does. For anything else, there's always voice search. 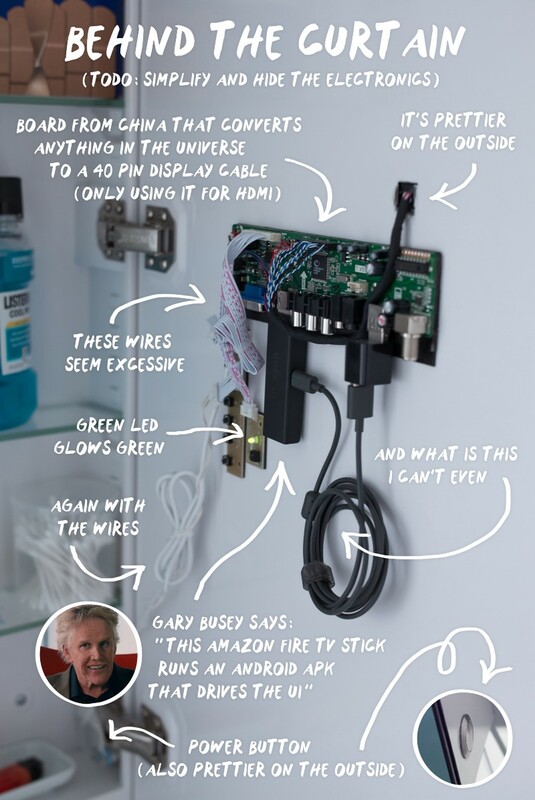 The setup is surprisingly simple: aside from a fancy two-way mirror, it's just a regular display, a controller board, a power button, and a Fire Stick. Other than that, it's just a bunch of glue, tape, and plastic holding everything together. The mirror itself is the most expensive part (depending on how large a mirror you get and where you buy from, you can quickly end up spending a thousand dollars), but you can get everything else for just a few hundred bucks. You could probably even get by with one of those $50 Fire tablets. It's worth noting that this isn't by any means the first DIY smartmirror we've come across — it isn't even the first one powered by Android: there are already guides, Reddit threads, and even dedicated apps for building your very own smartmirror. Still, it's one of the best looking ones we've seen yet, and I wouldn't mind having one myself. 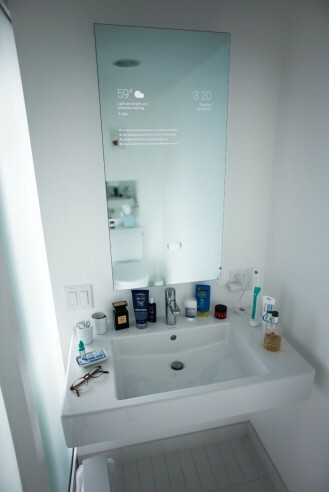 If you're also interested in pimping up your bathroom with an Android Wallable device, Braun has promised to post a how-to soon enough.